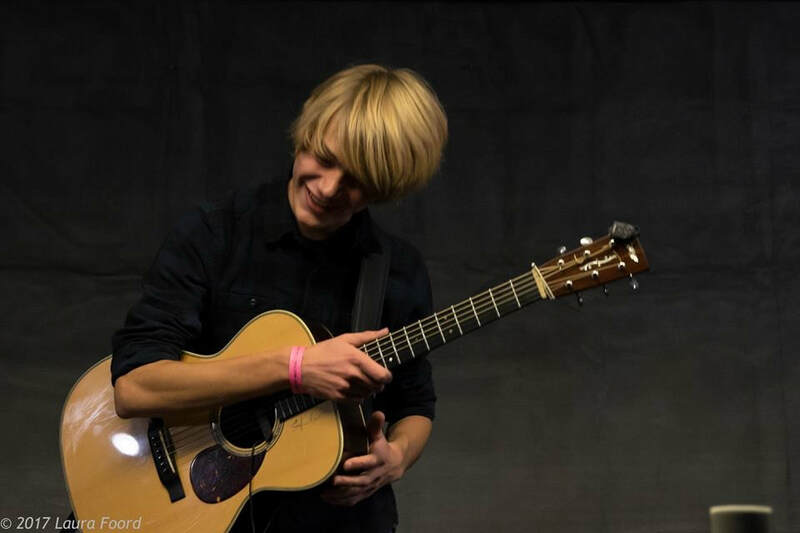 Eighteen year old Quentin Callewaert has only been on the music scene for a few years now, but he is creating a major buzz as one of the most gifted guitarists around. ​Classically trained, Quentin’s interest in fingerstyle acoustic guitar was inspired by Doc Watson, Merle Travis and Tommy Emmanuel. He is also a gifted singer with a refreshingly bluesy voice that compliments his blend of Americana, gospel and bluegrass. It’s been an extremely busy year for this singer/guitarist, performing full shows in venues all across the North East. In order to find out how truly versatile this young musician is, you will simply have to hear him play! OPENING FOR RYAN MONTBLEAU at CLUB PASSIM on FEBRUARY 6th! Some great concerts coming up! I've been invited to open for the great Andy McKee on February 10th at Caffe Lena! You won't want to miss this. And I've also been invited to do a showcase at the 2019 Joe Val Bluegrass Festival! Details to follow. In May I'll also be playing at Me&Thee in Marblehead with my friends Robinson Treacher and Brad Cole.